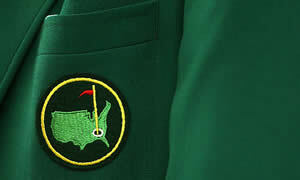 The 2016 Masters tournament will be the 80th edition of golf's most famous tournament. Fantasy Golf has exploded over the last few years and Masters Fantasy Golf Contests have grown to epic proportions! Below we have listed which fantasy golf sites are running a 2016 Masters Fantasy Golf Contest and what their signature Contest is. Each of these sites will also have smaller games to play and even some have FREE Fantasy Golf contests for the Masters Tournament so you may want to check them all out and decide which ones you can cash in with. 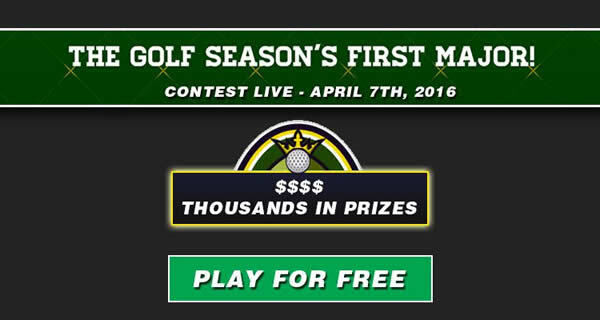 Check out the details of all the 2016 Masters contests below and decide which ones to join. Some of the smaller sites may have overlays in them so you may want to join the site and take advantage of the possible overlays that may occur. Easily the biggest fantasy golf contest for the 2016 Masters, this Fantasy Golf offers players a chance to win a 1st place prize large enough for you to quit your day job for just a $20. You can make multiple entries and dropping $100 on 5 teams can be a great investment if you have some fantasy golf skills. If you are going to play in just one 2016 Masters Fantasy Golf contest...May as well be the BIGGEST One! FantasyFeud.com is having a $5000 Masters Golf Contest. If you want to play in smaller ones they also will have Pick'em Contests and Snake Draft games in addition to their Salary Cap Contests. If you need help with making picks for your fantasy golf lineups then get Expert Golf Picks for the Masters from the guys at GolfBanker.com. If you know anyone that is making money playing fantasy golf, then you'll know that they are using GolfBanker to help set their Masters Fantasy Golf lineups.